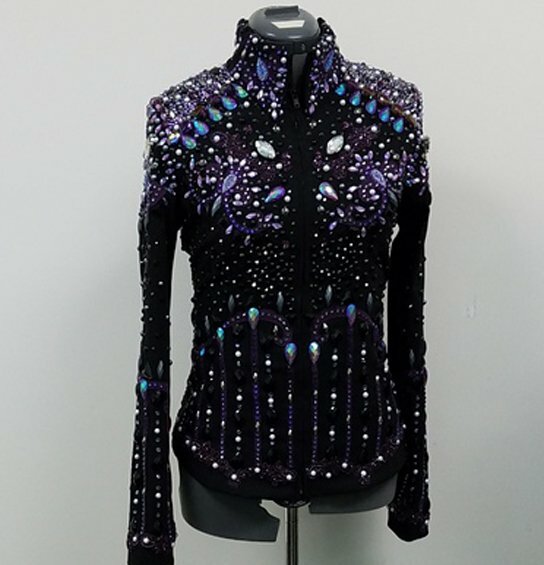 Black stretch body is embellished with thousands of Swarovski & Czech crystals, shapes & pearls, in shades of purples to jet hematites. Custom designed by Cassidy's Casuals, this is a one-of-a-kind. Alterations available for custom sizing. Body size range 4-8. Comes with Cassidy's lifetime warranty on embellishments.